SCVHistory.com HB5901 | Wm. S. Hart Park | Bubnash Family Picnic at Hart Park, Newhall, 9-6-1959. September 6, 1959 — Bubnash family picnic at William S. Hart Regional Park, Newhall. From left: Jean Ashe Bubnash (b. 1926), Suzanne Bubnash (b. 1954), Alice Toomey Ashe (b. 1897), David Bubnash (b. 1956). The photographer is George Bubnash (b. 1921). Contributor Suzanne Bubnash Walker writes (2015): "Hart Park had been open about a year at this time. We were frequent visitors. This photo was taken September 6, 1959. 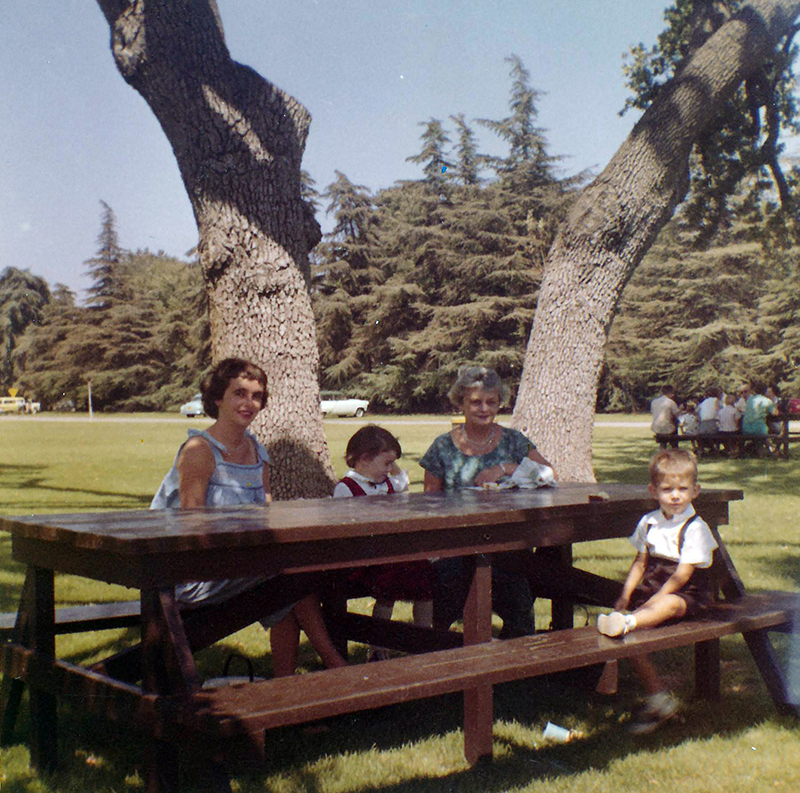 My mom and grandmother, myself, and my brother Dave are at the picnic table. Dad took the photo. My mom was 9 months pregnant with my sister Alice, who was born the next morning, September 7." HB5901: 9600 dpi jpeg from smaller jpeg courtesy of Contributor Suzanne Bubnash, 2015.